Ok, so that picture on the About page is not actually your humble blogger, but one C.C. 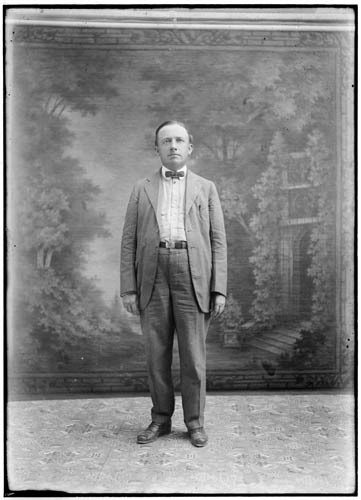 Highsmith, an attorney practicing in Texas around the turn of the century. Reading legal history from his time period is endlessly entertaining to me, mostly because I love that mix of old-world erudition and ostentatious sophistication with which they debated topics that seem, now, flat-out ridiculous. Mr. Highsmith himself was relatively forward thinking, it turns out. As a legislator, he first made sure that druggists pay a fine for dispensing cocaine without a prescription. He then campaigned, apparently for many years, to criminalize the stealing of dogs–a reasonable enough proposition, though it’s curious that he adopted dog-stealing as his signature issue. (Actually, maybe not that odd. If anyone touched Hodge, I would advocate for the firing squad). Unfortunately, the Texas legislature balked at his proposed bill several times, pointing out one time in debate that you couldn’t eat a dog, unlike a hog (relevance? ), and that the bill would protect not just hunting dogs, but “curs and other undesirable dogs.” A Texan’s right to steal a non-edible cur was apparently not to be tampered with in those golden days. Mr. Highsmith would no doubt be happy here in the future, where stealing even the most undesirable dog is illegal, and handing out cocaine is very, very illegal. Thanks to The Houstorian for the history lesson on which this post is based. This entry was posted in History by Guacasmole. Bookmark the permalink.